File this one under “completely unnecessary but dope af”. 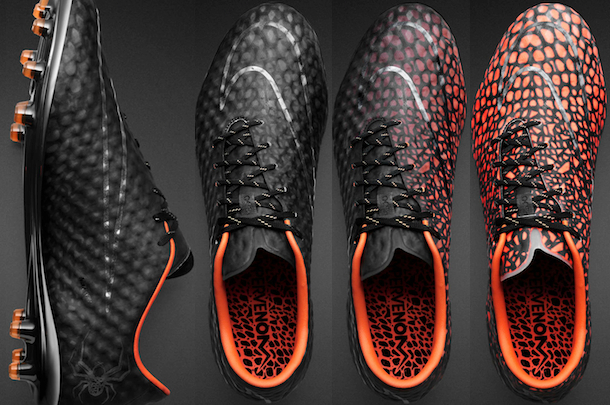 In honor of the death of the Hypervenom silhouette, Nike is closing the line out with a heat-activated boot that changes colors as your feet warm up. Wanna chill in the centre circle and get your Carlos Valderrama on? Your feet will remain a cool black, like Samuel Jackson. If you decide to put that work in, your feet will slowly start�to glow up till it’s literally lit. Released on May 14th, the boots were released in extremely limited quantities and most likely will only be available via special favors or the black market. If available for general release, would you cop?